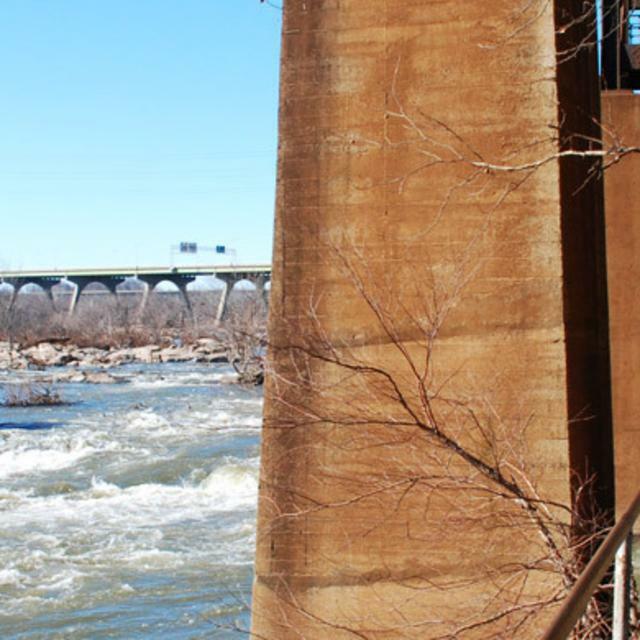 The Pipeline Rapids walkway may be downtown Richmond’s best kept secret. It’s been open to the public for years, but few seem to take advantage of it. Unless you go when there is an event like Dominion Riverrock on Brown’s Island or a paddling event, it’s often just you and the raging James River in a setting mixing the wild and natural river and the urban landscape of the bustling city.